Looks like it supports local multiplayer with 2 switches. Still waiting on a US date, but hyped! Question: Do players have trouble reading kanji characters that small? I bought a TCG tin the other day and could barely read a few of them without losing my place. Oh snap. Guess it’s time to learn how to buy from the Japanese eshop. can you play pre-link monster format? Nope, it's current Advance format. Luster Tiger seems pretty damn good. is this getting a physical release? looks dope. Local battle is so cool, reminds me of the time I bought 2 Yu-Gi-Oh! WC 2004 on GBA so I could duel my brother, haha. Because there's 9000 cards and the actual deep gameplay mechanics. 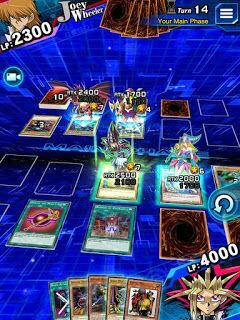 People actually play with the angled view in Duel links? That's not a good excuse to be honest, no need for the hologram thing, just the overall UI looking better.